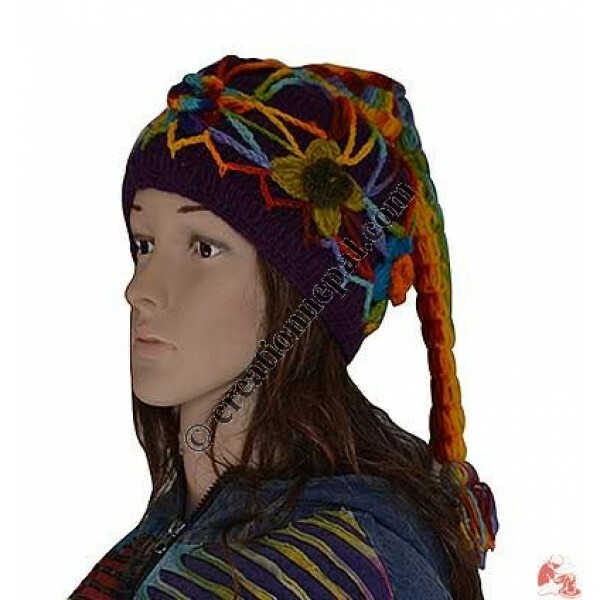 Woolen rainbow colors flowers design hand crochet tail cap with warm polar fleece lining. Since the product is entirely handmade, no two are alike; there can be slight variation in given detail. As the woolen goods occupies more space than its actual weight, the below mentioned weight is calculated for the shipping purpose.